Anyone over the age of 8 years is welcome to come along to Traditional Music Classes (TMC). Some instruments or styles have specific classes for children and adults, whereas others focus more on ability level, rather than age. Follow us on Facebook: @TMCInverness to keep up to date . There will be a break at Easter from 08/04/18-22/08/18. 1. If the form is completed on behalf of a child the parent or guardian must sign the form. 2. Applications are accepted on a first come first served basis. 3. All classes must be booked and paid for in advance. 4. The appropriate fee must accompany the booking form. Cheques should be made payable to “Highland Council”. Please do not send cash through the post. 5. No refunds will be given, except where an event is cancelled by High Life Highland. High Life Highland reserves the right to cancel or reschedule the time or venue of any event. 6. All events organised by High Life Highland are covered by its public liability insurance for any claim of negligence attributable to High Life Highland. 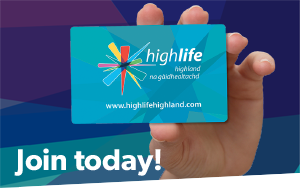 To view our High Life Highland Privacy Notices, please visit www.highlifehighland.com/gdpr/privacy-notices or to request a printed copy please email [email protected]. If you are interested in traditional music, a range of tuition is available for children and adults in Inverness. Choose from tuition in the accordion, chanter, fiddle, chanter, whistle and more. Great news - Amber is back and fiddle classes are restarting as normal tonight at Charleston Community Centre. Graeme Mackay gives one of our refurbished 3 row button accordions a test drive. With the terrible news of the fire at Notre-Dame in Paris, there is a ray of hope... Deputy Mayor Emmanuel Gregoire told French news channel BFMTV that the organ remained intact. The cathedral has three organs, including the 8,000 pipe Great Organ, first constructed in 1401 and rebuilt in the 18th and 19th centuries. We can only hope to hear it play again.